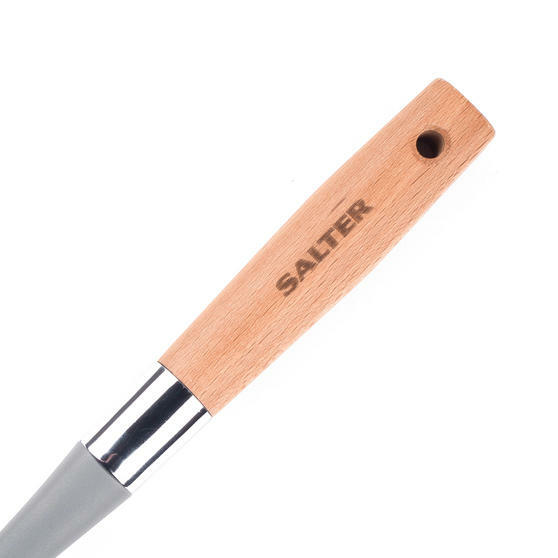 Ideal for total novices and chefs alike, this Salter ladle with wooden handle is incredibly practical and perfect for serving soups, sauces and much more. Crafted from durable nylon, this ladle resists heat and is ideal for use in non-stick cookware. 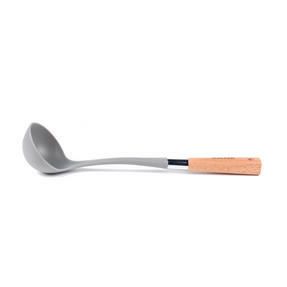 Easy to clean with a simple hand wash, this ladle also features a wonderfully ergonomic wooden handle for added comfort during use. 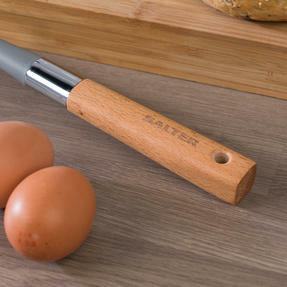 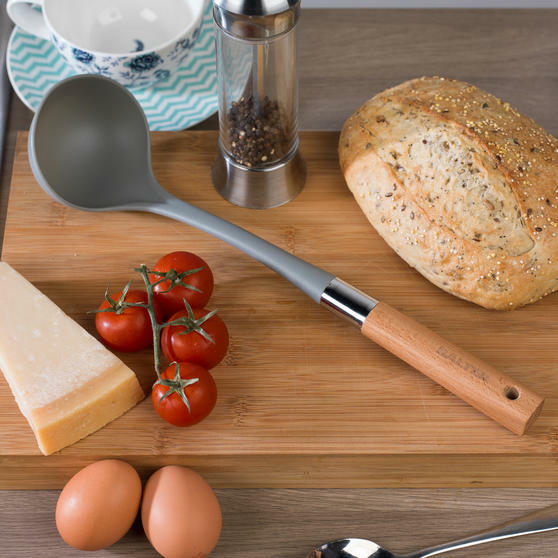 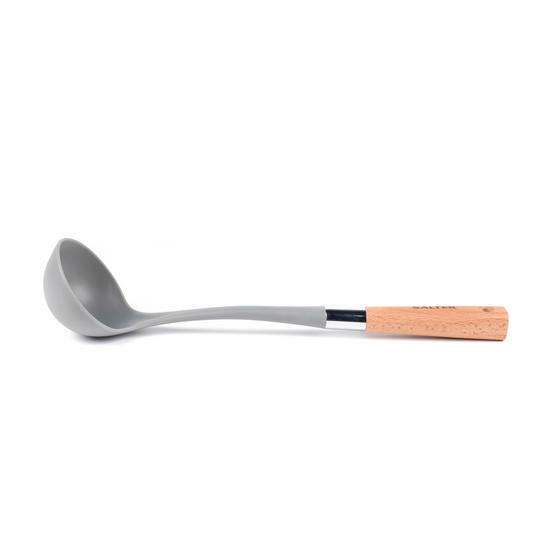 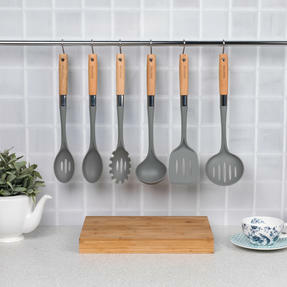 Developed to withstand the demands of everyday cooking, this ladle will compliment any kitchen tool collection. 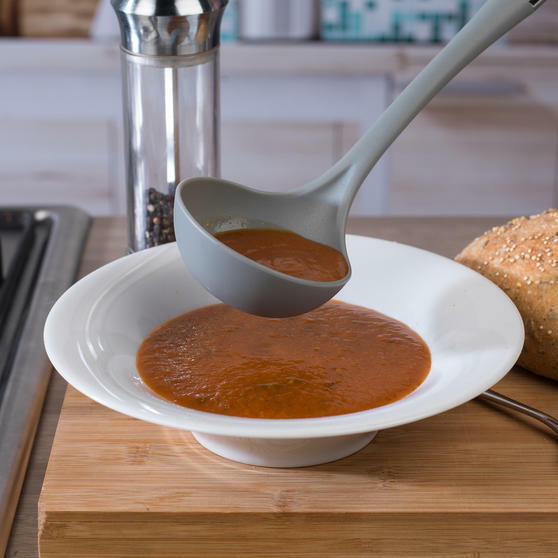 An essential addition to any kitchen, this Salter nylon ladle with wooden handle is ideal for serving soups, sauces and more. In a chic grey and wood design, this ladle will look great in any setting and features a hanging eyelet for easy storage. 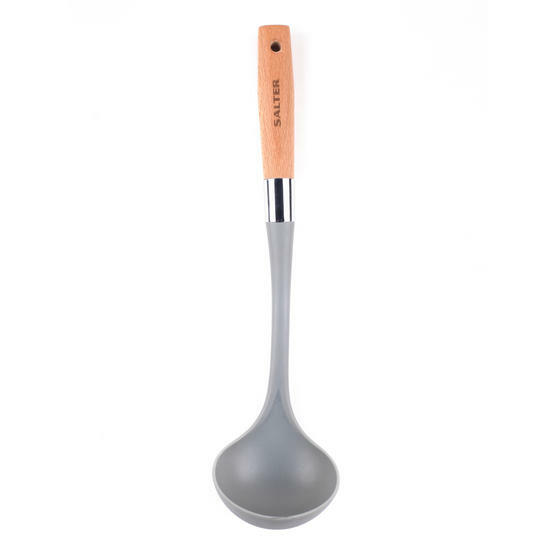 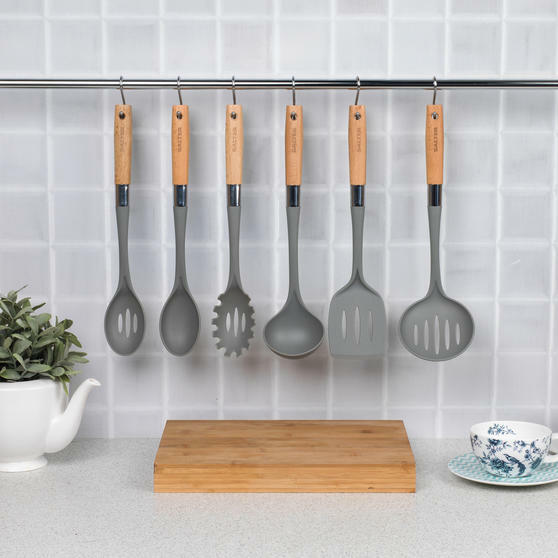 Easy to clean with a simple hand wash, this ladle compliments any kitchen tool collection and is suited to a range of colour schemes.